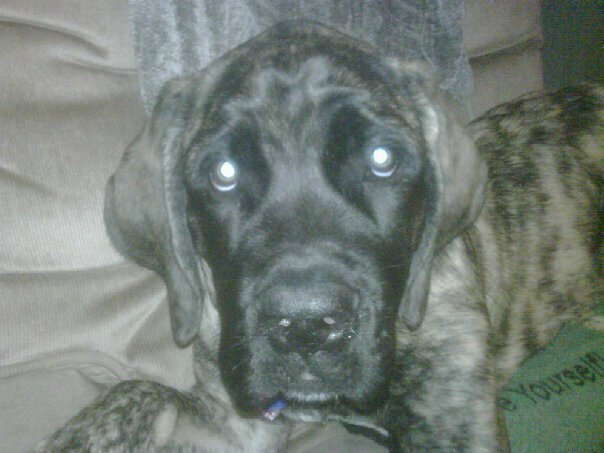 Heska Mastiffs/Angie Fish - This Forum is brought to you by The Mastiff Sweet Spot and Friends of the Forum. For those that were scammed and lied about..
Yhea, Teresa Emerson, she's alright! If you're on facebook, look me up. I have puppy match pictures from the Specialty with littermates! Best of luck to you with your new baby! Hey, thanks everyone for keeping this thread alive. It has helped more victims know that they are not alone and what they are going through is not an isolated incident. Yes, Teresa is more than alright to me she is the best! Her entire litter was amazing and the most beautiful puppies. My Wendi has THE BEST personality on top of her being super adorable. I will look you up on fb and check out the pics. Also, we will all be blessed, like my family has been, with wonderful puppies. 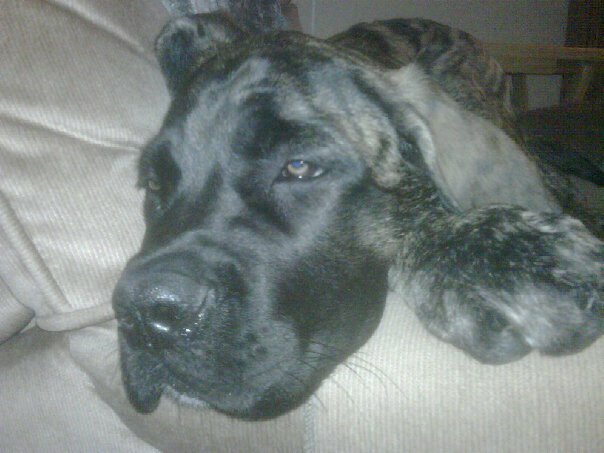 I think we have all learned quite a bit being a part of your Mastiff community. I think most people have learned what to watch out for and who they are pretty sure they will not give their trust or their money. I do feel a bit sorry for the next perspective breeders that 'us jaded' families work with. I have to assure you that MOST, if not ALL of us WILL NOT BE MAKING THIS MISTAKE AGAIN. Thanks to every single person who posted on this thread. Here's a new pic of my baby girl 'Wendi'. These 2 pics were taken a month apart. Look how big she's getting. It's sad to read all of these accounts. Angie has always been sweet and kind to me. 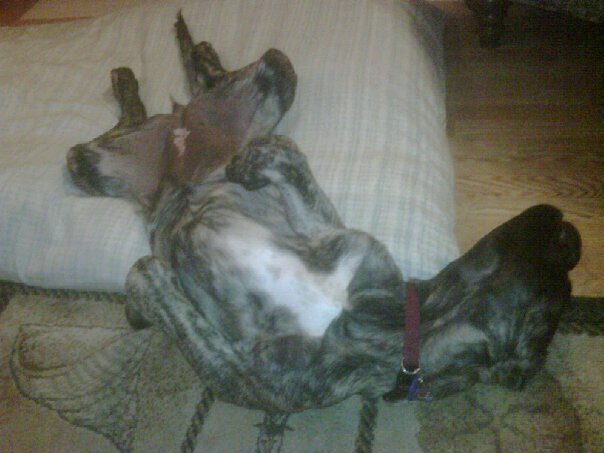 She was very helpful when Magnus was a young pup. Hi All, I am new to this board and this is my first post. 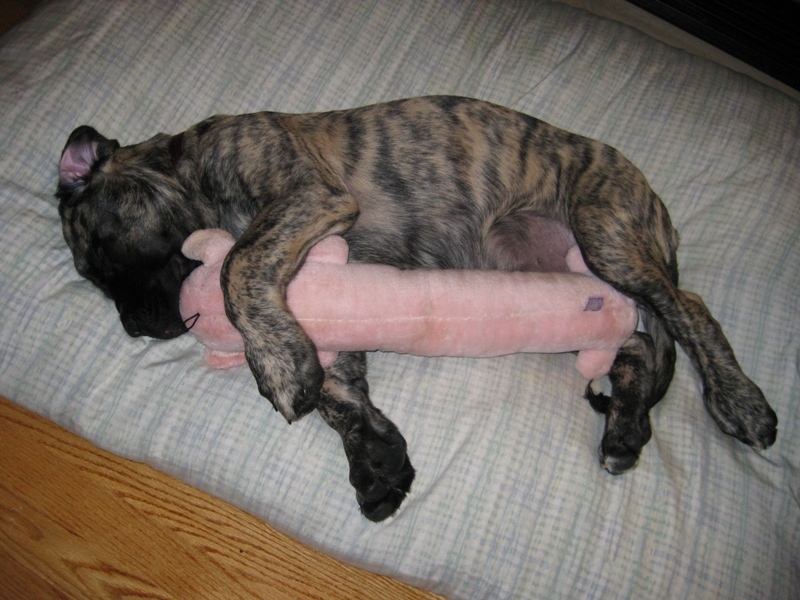 I do not own a Mastiff yet, but plan on getting one. I have been researching breders for about 6 months now which led me to this board. I came across this thread and must say, its like a car wreck! Not very pleasant but I had to keep reading! LOL So, although I havent "earned" the right, I would like to offer my .02 cents. I think the majority of folks who contribute here are good, honest, folks. My heart goes out to the families who lost money. It doesn't matter if it was $6.00 or $600. These folks work hard for their money and NOBODY has a right to steal it from them. As an impartial observer who knows NOBODY who has posted here, my take is this; I dont know if Miss Fish was an honest and ethical breeder in the past, but I can assure you she in not one now. Forget what she says, but the manner in which she says it speaks volumes about her character (or lack thereof). To come here and type (barely legibly) posts in which she curses at others and call one a Nasty B&%$# is just something that normal civilized people dont do. Those are the actions of a person who has been caught with a hand in the cookie jar! As a retired Police Officer I like to think I can get a good read on people. I would offer the following advice to folks who are suing Miss Fish; A) Call local law enforcement in your area and tell them you would like to file a complaint against Miss Fish for Fraud, Scheme with intent to commit a Fraud, AND grand theft. Tell them you would like to file a report with them and have them forward the case to police in Miss Fish's jurisdiction. Your local Police should do this for you but sometimes they will refuse claiming they have no jurisdiction over Miss Fish. If this happens ask them for a blank sworn affidavit. Completely fill it out and then fax it to Police in the jurisdiction wrere Miss Fish lives. then call that Police Department and you can file charges that way. Please do not let her get away with this. Also follow up with calls to the BBB, and the Attorney General in both states. 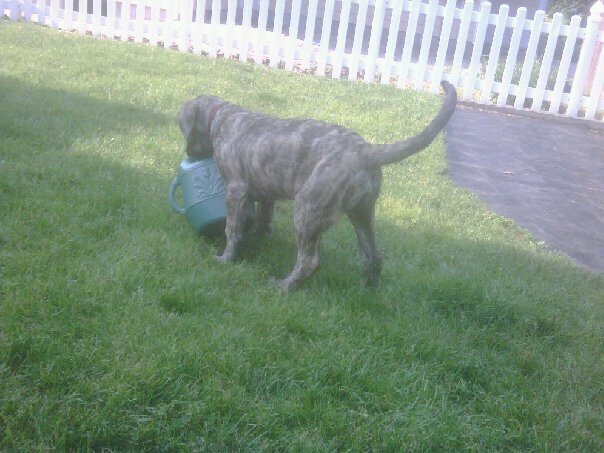 Again I thank you all for educating me on Mastiffs (here and the other threads). I truly hope that Miss Fish does the right thing and refunds the money she has taken from folks. I think you all owe it to the entire Mastiff Community to ensure these types of actions are highly publicized so more innocent folks are not taken advantage of. I wanted to PM you, but it's disabled. Do you have email? Email me. this Bud, is for you! Thanks Bud for your support. We have been very active in seeing we get our justice. As I am sure you know, these things take time...so we are all trying to be patient. Again, your support is very appreciated. First let me say, Angie needs to stop breeding, she has hurt too many people. Now Joan being the good Christian Woman you proclaim you are, and loving the sinner............can you see the irony many of us see in you bumping this thread and acting all concerned when you say for ALL the people that have been scammed and lied about...............and you forget to mention the kennel in your signature line????????? Do you mind asking and reminding MillsCreek Mastiffs that the Great State of Virginia and Texas both agree he and his wife did what you say to Griener Hall and LOST a Lawsuit of over $100,000.00 and when will they pay????????? This is a Great thread.........I can bump it for GH and what MillsCreek (Don Motts and his wife Rosella) owes them Amen Joan.......let's make sure people know these people. Deb, if you have a problem with them then you need to take that up with them. If anyone has any doubt at all about Mill Creek and the Motz's please go to the MastiffWeb website and start to read from October 2005 and forward until the site (which was marvelous btw) and had to be closed due to the outrageous behavior of Don Motz. And if anytone ever wonders if like everyone said I would never get the papers as was written on that website because I wanted to show Holiday. They were all right. I NEVER got the papers and have pagers of cell phone records where I tried to contact Mill Creek and never received the papers or anything else except I should pay him $6,000 for a 3 yo dog that I purchased at 6 months old. Go back and read don't argue with me go read. And you don't even know your own pedigrees from your own dogs so go sit down and leave me alone. I've got the post where you said Holiday is out of Titus. Why do you think I never posted? People who don't know where their puppies are, don't get an opinion and yes that would be you. 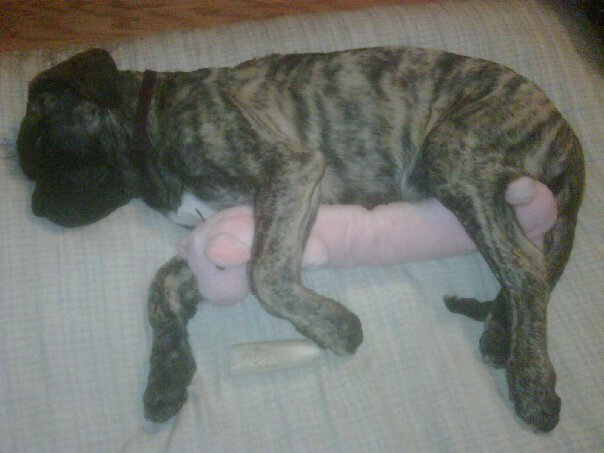 I don't have a puppy from Titus, Holiday is a full litter mate to Sasha - is she not out of Kong? I've got it by your own hand so go hide yourself. I'll post what you will have to get from Don if you'd like but there are people all over that knows what really happened. They were really there. Not like you. They were on the board when the words were written and posted saying 6 years ago not to get a dog from Don because I would never get the papers. And I didn't, just like they said, so you want to call all them liars too? And it's in writing on that board for everyone to read. And you might want to call Linda if you want to pursue this. She was there too and knows exactly what happened. There were alot of people there that are still here so watch yourself. You are making a fool of yourself and you don't even know what happened. When I was asked one day if I would want to champion and Mill Creek dog I realized that would be the last thing I wanted. I didn't pursue the issue at that time, but if you want to pursue this to your own detriment, I'm ready. And I'm afraid again you have the story all confused but since you haven't read what happened and only take a liars word for it then you wouldn't have a clue. Doc was left at my house. I took care of him for 6 years before I knew anything about his breeder. I called Don a few days later after I found out because I had dog contracts and registration and ribbons all over the place and it took me a few days to go thru it all. I let Don know I had Doc pretty much as quickly as I could. He agreed that Doc was better with me since I'd had him when I spoke with Don. I then got Holidays from Don and paid for him and have the cancelled check where I paid for Holiday. The only agreement I even made with Don was for Holiday - and neither agreement was a contract or or paper - so yes, as a matter of fact, I'd just love for you to post the contract I have with Don. And Don forget he provided me with Holiday's shot record from the previous owners who returned him to Don because they could not control him. I've got their name and address and the vet who gave the vaccines indicated he had been their vet for many years. They returned Holiday to Don and had a screaming fight in the driveway while I was there. You want me to continue? Why bother? Deb can post it all much better than I can find and type it all again. She's very good at research!! 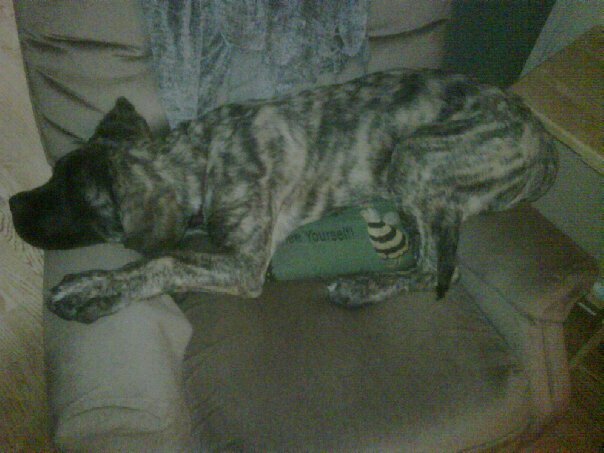 It's all there from the first post of mine when I didn't know what I was going to do because I'd never had a mastiff or even a dog for 25 years. I had already had him with me for a year but not all by myself and I was just really in a panic when I went looking for help with Doc. Go ahead Joan, please jump right off the cliff. It's all in writing about Doc just about from the very beginning written many years ago and the website is locked so please continue.